Hydro Systems offers solutions to help with tote and drum filling on your dairy. Our products accurately dilute chemical into the receptacle. 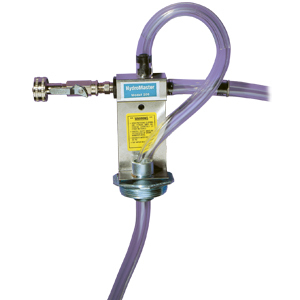 We offer a variety of systems to work with the chemical and dilution you need. For more information on tote and drum filling for a dairy farm, click on the products below, or contact Hydro System’s customer service toll free at 800-543-7184.